Today I am introducing you to The Farm Chicks! 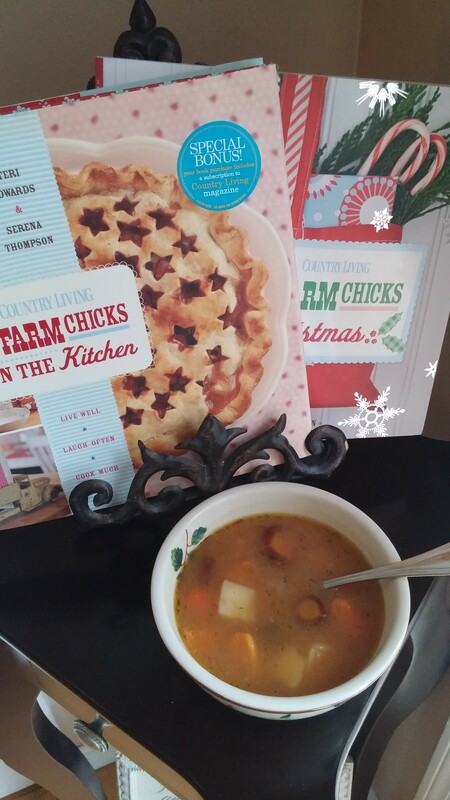 Their first book, The Farm Chicks in the Kitchen by Teri Edwards and Serena Thompson is one of my favorite things! I picked this book up many, many years ago at the library and have used it several times. I checked it out more than once! When I heard they were writing a new book, I thought it was time to own this first book! My dear friend Ann shared buying books from Ebay with me awhile back. I found this book and their Christmas book on Ebay for $3 each! Look on Ebay first for your books, you can get some incredible deals! 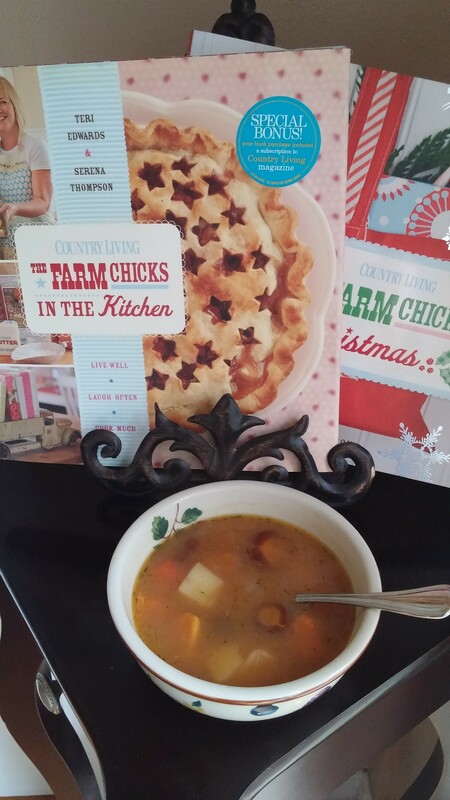 This first book is my favorite because it isn’t simply a cookbook, it is a story of how two friends came together from their love of all things farm and antiques! They are from Washington state and they both have many talents! They share those talents in their books. The stories, recipes and home decor ideas are wonderful! They are also on Facebook as The Farm Chicks and they do annual antique shows in Washington state. These shows have grown over the years and many many people attend them and have an absolute blast! I have been blessed to have a few of the promotional products from the shows even though I probably will never find myself in Washington! 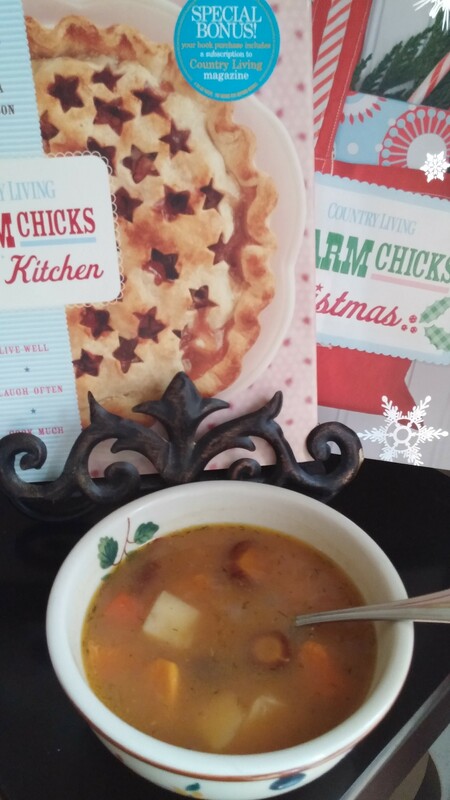 I recently made the Savory Sweet Potato Soup from the first book, so delicious! Pick up one or both of these gems, you will not be disappointed! ENJOY!